Tasmanian biosecurity workers have suspended fumigation activities after four staff fell ill. The Department of Primary Industries, Parks, Water and Environment (DPIPWE) workers were fumigating to contain a fruit fly outbreak following the discovery of larvae and adult fruit flies found in apricots at Spreyton, soon after the pest was detected on Flinders Island. But that work has stopped after four officers fell ill, leading to concerns that they may have been exposed to the pesticide methyl bromide. “DPIPWE has voluntarily suspended fumigation activities until further notice while the investigation is underway,” a department spokesperson said. “Four DPIPWE staff were potentially exposed to methyl bromide during fumigation work on Tuesday 13 February. “DPIPWE reported the incident to WorkSafe Tasmania and the CPSU [Community and Public Sector Union] on the morning of Wednesday 14 February after two staff reported feeling unwell. The CPSU's Tom Lynch said the DPIPWE was unprepared. “I think at the end of the day it will be found that the [fruit fly response] arrangements were probably all a little bit rushed,” he said. “We have been complaining for a long time that Biosecurity is understaffed. 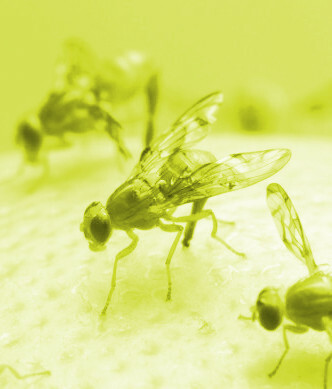 “I think under-resourcing in Biosecurity is partly to blame for the fruit fly incursion in the first place, and for the effectiveness of the response. In response to the outbreak, DPIPWE issued a statewide recall of fruit recently fumigated at the Freshmax facility in Victoria, which was suspended from supplying Tasmania at the same time. Agriculture Victoria says has not been able to determine how fruit flies got to Tasmania, after its initial investigations found no mechanical failures at the Freshmax fumigation facilities. “The audit reports are very positive, in that there hasn't been any non-conformance, there hasn't been any issues with mechanical failure, or gas retention or any of those issues, so we have to dig a little bit deeper now,” an agriculture department spokesperson said. Freshmax is still supplying other interstate markets. “Tasmania has suspended access by that business, consigning fruit into the Hobart market,” Agriculture Victoria spokesperson Gary D'arcy said.